Airbus CEO on Equality and Diversity: There is more than one way to skin a cat! Q: There were no women, and almost entirely white people on this podium. What is Airbus doing about its diversity, and when can we expect to see people who better reflect your customers and indeed your passengers at these sort events? A: In terms of diversity, I think we do a lot, and by the way if you go to Mobile, you will see many black people. So I invite you to see that we have a real diversity everywhere. My assistant is black, but this is not why I selected him, it is because he is very good. Honestly, we are the most diverse integrated company in the world. I don’t talk about groups who have subsidiaries who manage locally. We have 4 main nationalities as you know in Europe, but we have, I think at Airbus, 100 nationalities. So we have Chinese, we have Indians, but not only locally, we try to have them onboard at Toulouse and Hamburg, and so, you will see, I’m sure that within the next 10 years, people who will take the top level management positions which will no longer be French, German, British, Spanish, or even American for John Leahy. Kieran Rowe by the way, who is our head of marketing and strategy, he is not black, but he is not totally white! Another very important point is the gender diversity. We have not enough women, this is clear, and you could have come up with this remark which I think is more to the point, and we need to attract more women, and not just as Head of Communications, or Head of HR, (or) Legal, No! (We need them) In production, in engineering, in program management, in commercial. As an example in our countries we have about 15% of women who graduate from engineering schools. This is not a lot. We have given to ourselves a target which is at least, to recruit in the new generation, I think (referring to Charles Champion), 20% – 25%, I think we set to ourselves a target of 25%, and we achieved a bit above 20%. But its a lot, we would recruit without taking care of that, we would limit ourselves to 15% at best. We are deliberately trying to make additional efforts. This is only one example of what we are trying to do. I am a strong believer in diversity. I believe this can be the biggest weakness of the group if you do not align the people, but if you accept the diversity and you align them on common objectives, you are much stronger than a pure French, or even European company. B: European aero community has been largely absent from the diversity discussions taking place in the US. A: Factually, he is correct about Mobile. But not sure how that relates to diversity in Airbus executive ranks. C: Factually correct but not the question answered and probably not the way to talk about diversity at all. To those used to being in a politically correct and sanitized environment, the first part of Brégier’s answer might come across as shocking, if not horrific. But what is Fabrice Brégier’s main point on diversity? To put talent ahead of diversity of the sake of diversity, and to promote diversity among those who are talented. This is not a politically correct company on racial and gender equality through affirmative action (which in the UK, is deemed positive discrimination and is illegal), this is a company who chooses to be egalitarian in terms of opportunity, and that meritocracy within common objectives is more important than meeting quotas for management of the business. D: Diversity does not equal talent. I’d rather know my engineers are capable… not diverse. Anyone who says otherwise is lying. A: I would argue there’s likely a lot of untapped, diverse talent after checking the aerospace demographic stats. D: What stats would those be? A quick search produced this (link) which says not many practicing engineers. A: Exactly, which is the problem. D: But that’s not Airbus’ problem if there isn’t talent to hire. And Mary’s little “gotcha” game is hack journalism. Not professional. A: And, to be fair, Airbus is doing a lot to address the problem. Getting qualified, diverse talent in exec ranks would help, too. But enough with my endless waffle of words. As an Indonesian, being in a society of what I call “xenofiliacs”, the judgement on diversity is in the evidence. The first Airbus employee that I was friends with was an Indonesian who was at Airbus Middle East, in sales and consulting. There are quite a few Indonesians in Airbus, one of which, I am told by an Air Asia employee, designed the A320 cabin for (Indonesia) Air Asia (which to me is amongst the most comfortable A320 family cabins around). And my only engagement outside #AirbusID16 during the recent visit to Hamburg was, to meet an Indonesian Airbus engineer who is a structural analyst at Airbus Germany (and this was just before the welcoming dinner on the Sunday). L-R: Angkasa Senior Editor, Dudi Sudibyo; Airbus Germany Structure Analysist, Agus Pramono from Indonesia; Me. Yes, Fabrice Brégier’s assistant is black, and he was laughing when that point was being made. 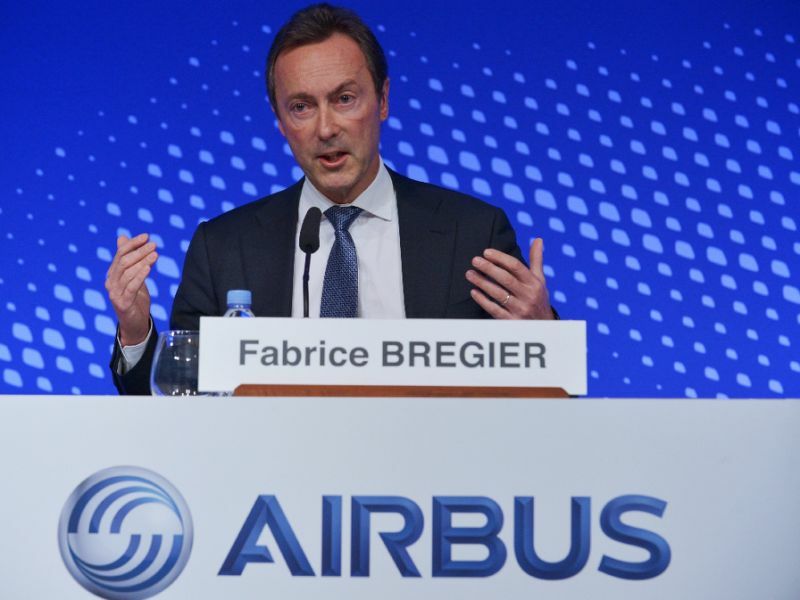 I guess those who do not agree with Fabrice Brégier’s way of saying it, did not see his assistant’s expression at the time and wonder what his views are on Airbus’ diversity policy and actions. I, a non-white non-European, was also laughing when the audience laughed. We’re used to this kind of banter too. Words are words, we see the action, and in my view, Airbus is doing something about its need for better diversity. It’ll take time to see further results. There is more than one way to skin a cat, hence, there is more than the American way to view and deal with racism and the need for better racial and gender inclusion, there is the European way (with a subset of the British way, German way, French way, Spanish way, etc), and the various Asian ways, and others, on how to create a more diverse and included workplace. Just because someone is different or has a different view, does not mean he/she is not answering your question.